There were several exciting narratives in play at the final table of the 2016 World Poker Tour Rolling Thunder $3,500 no-limit hold’em main event. Two-time World Poker Tour main event champion Mohsin Charania was looking to make history by becoming only the fourth player ever to win three WPT titles while Harrison Gimbel had finished fourth in this very same event last year. In the end it came down to these two players battling out out heads-up to see which story would dominate the poker headlines. After more than 100 hands of heads-up play Gimbel emerged victorious, outlasting the field of 409 players to win his first WPT title and the top prize of $275,112. Charania has also made three final tables in 2016. The 900 points he earned moved him into 43rd place, with 1,092 total points and $222,970 in earnings so far. The 2016 Card Player Poker Tour Wynn Classic $1,600 buy-in no-limit hold’em main event, drew a field of 499 entries to build a total prize pool of $726,045 and easily blow past the $500,000 guarantee. In the end Scottish poker pro Ludovic Geilich emerged victorious, capturing the title and the first-place prize of $150,662. Geilich also scored 720 Player of the Year points. This was his second final table finish of the year, having placed eighth in a $2,200 prelim at this year’s PokerStars Caribbean Adventure as well. He now sits in 98th place in the overall standings. 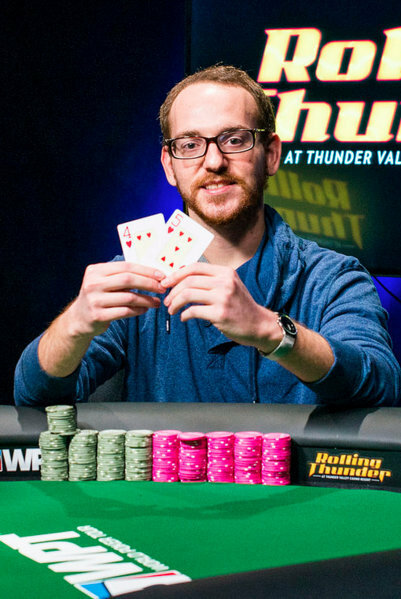 Runner-up Ed O’Connell earned $106,366 and 600 points for his second-place finish. This was his third final table run of 2016 and as a result he has moved into 66th place on the POY leader board.